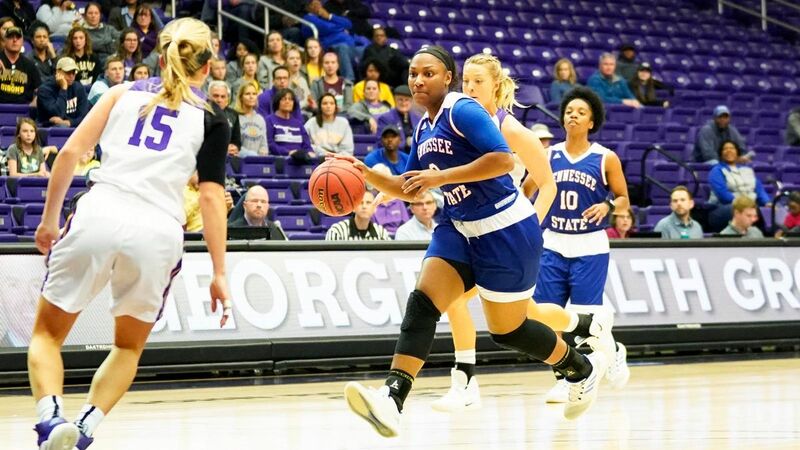 The Tennessee State Lady Tigers opened up their games in the Challenge in Music City taking on the Lady Razorbacks of Arkansas at the Municipal Auditorium. 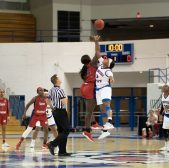 The Tigers would fight hard, but they would eventually fall to the Lady Razorbacks 79-55, falling to 0-5 on the season. The Tigers would come out of the gates strong, with five quick points from Taylor Roberts to take a 5-0 lead. Then from there, the Lady Razorbacks went on a 6-0 run to take the lead. Tia Wooten would hit a baseline jumper to put them back in front at 7-6 with 6:42 left in the game. The Lady Tigers and the Lady Razorbacks would go back and forth a little more in the first until Alexis Tolefree's two three-pointers would allow them to get out to a 22-12 lead to end the first quarter. The Lady Tigers did not stay down long though and in the second quarter, the Tigers fought back, picking up the pressure and outscoring the Lady Razorbacks 22-15, capped by a Terrysha Banner three-pointer at the buzzer. The surge from the Tigers would bring them to within three points at the half. After the half, the Lady Tigers would play the Razorbacks even the entire third quarter with scoring coming from Taylor Roberts and senior Asia Sims making some very important plays on both ends of the court. In the fourth, the Lady Tigers would pull within four points early on, but the Lady Razorbacks would get it going as the quarter would go on. 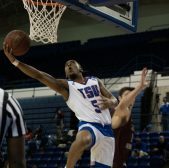 TSU would get no closer than eleven points late in the game as the Lady Razorbacks would outscore TSU 27-7 to close the game. After the game, Coach Kern was very positive about her team's game. "First and foremost, I think our team fought until the very end. That's a really good Arkansas team and I think we had them on the ropes quite a bit." 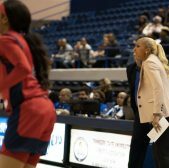 As far as her team growth, Coach Kern can see the team getting closer to getting where she sees them being. "We played another three quarters and, in time, all these quarters will come together." One player who may not have shown up on the scoreboard with points but had a great effect for the Tigers was Asia Sims. The senior's play was definitely noticed as she made things happen on the court. "She (Asia) had nine rebounds at the end of the day. Asia is like our blue-collar kid." The Lady Tigers won't have long to think on this loss though, as they face Wisconsin tonight at 5 pm at the Municipal Auditorium. The Lady Tigers were led by Taylor Roberts with 23 points and Terrysha Banner with 10 points. The Lady Razorbacks were led by Chelsea Dungee, who had 16 points off the bench. For more sports talk, feel free to follow me on Twitter or check me out on Facebook. Good article, i agree 100%. I see him as an offensive coordinator at this point but not a head coach.